There was a time long ago when chrome wasn't just a browser - it was also a metal. 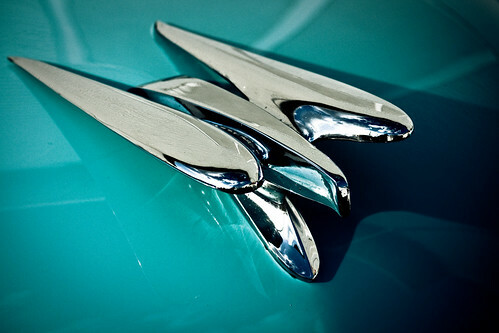 They used to put it on cars in all kinds of crazy and creative ways, including hood mounted origami birds like this one. A real motor-head could tell you what kind of car this is based on this bird, but all I can tell you is that it was a greenish/blueish car.